The underbelly of Naples. The underground city. Naples, a city with a thousand faces, an esoteric place full of legends and ancestral myths, contains in its dark interior a “parallel city”, a labyrinth of tunnels, cisterns, quarries and tunnels dug into the tuff from the Greek era and still today partly explored. Currently, it is estimated that there are about two million square meters of underground tunnels, with 800 artificial cavities corresponding to a third of the city on the surface, but the census is still ongoing and far from being completed. The Greeks were the first to use caves and natural caves dug into the tufa as primitive houses on their arrival on the coast of Campania, settling in the area of ​​Pizzofalcone where they founded the colony of Partenope at the end of the eighth century BC. The subsoil of Naples is, however, also the site of obscure rituals, such as that dedicated to “anime pezzentelle”, a place of border and connection between life and death, where silence causes space to expand and time stop. One of the most evocative places in this sense is undoubtedly the Fontanelle Cemetery, a tuff quarry excavated in the Greek era in the Capodimonte hill outside the walls, in the Sanità valley. Starting from 1656, following the plague epidemic that decimated the Neapolitan population, this place was transformed into a common ossuary, which were added centuries after the victims of cholera of 1837. It was then the local parish priest, Don Gaetano Barbati , to rearrange and catalog about 40,000 human remains without identity at the end of the nineteenth century. The Neapolitan cult of the dead was born in a very spontaneous way, practiced above all by women following particular rituals. 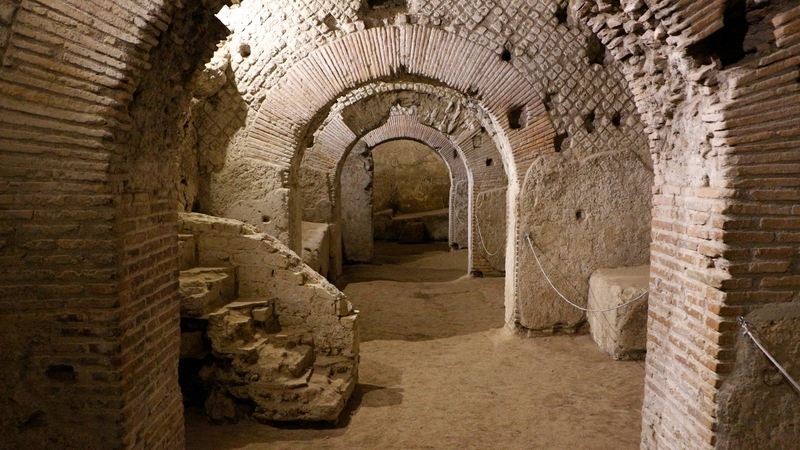 The first Christian catacombs, including those of the patron saint of Naples, San Gennaro, and those of San Gaudioso inside the church of Santa Maria alla Sanità, were built in the folkloristic Sanità district. The catacombs of San Gennaro developed around a Roman tomb of III AD, from the deposition of the remains of Sant’Agrippino, the sixth bishop of Naples, but became an important cult center following the translation of the remains of San Gennaro. The catacombs of San Gaudioso were named after the saint death in the 5th century AD, but it was in 1600 that the nobles began to contend for a burial within them. Their bodies were brought into a hypogeal environment where they were placed on the so-called drains, to be punctured so as to empty them of liquids. From this derives the Neapolitan term “schiattamuorto”, or the expression “puozze sculà”. After drying, the skull was embedded in the wall, while the rest of the body was painted below with symbols that made the deceased recognizable. 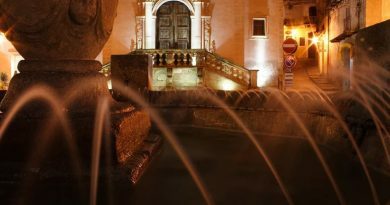 Moving to the historic center, you can not miss a visit to the famous Naples Underground, one of the oldest descents in the Naples subsoil located in Piazza San Gaetano, which can be visited if you are ready to descend 140 steps to find yourself 40 meters below the current plan of trampling. During the journey of about two hours you will pass through the tunnels of the ancient Serino aqueduct dug into the tufa in the Augustan period, provided with candles and torches, and then visit the cavity used as a war shelter with objects and inscriptions left by the Neapolitans there whole days passed during the Second World War. At the end of the tour, we finally return to sunlight, then enter a Neapolitan basso and from there in a trapdoor under a bed that leads directly to the cavea of ​​the Roman theater where, in 64 AD. Nero performed. The theater is currently incorporated between the modern dwellings of via Anticaglia, vico Cinquesanti and via San Paolo. Also in Piazza San Gaetano, in front of the church of San Paolo Maggiore, there is another access to the subsoil of Naples, the so-called Neapolis Buried, found starting from 1950 below the monumental complex of San Lorenzo Maggiore. 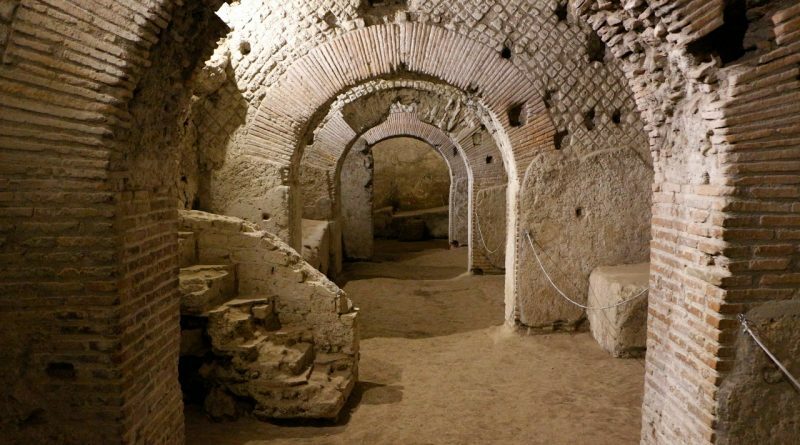 Walking along the major decumanus, there is another underground place that encloses a thousand-year path in the heart of the city of Naples. The Pietrasanta site was reopened in 2011 with an interactive exhibition aimed at involving the viewer on a multi-sensory journey back in time. From the basilica we descend into the crypt, where we can see mosaic floors of roman domus. From here you can directly access the underlying cavities, from which an evocative route begins in the ancient Greco-Roman aqueduct. In this long excursion can not miss the famous Bourbon Tunnel, an underground viaduct built by the architect Errico Alvino in 1853 at the behest of King Ferdinand II of Bourbon. 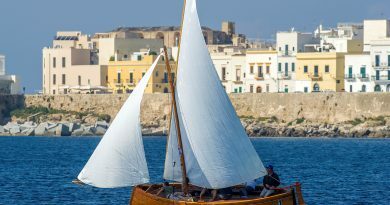 The route had to connect the Royal Palace with the area of ​​Piazza Vittoria, so as to allow the king a quick escape by sea in case of revolts organized by the bellicose Neapolitan people. Borghi d’Italia: alla scoperta di quello che c’è ma non si vede. 10 Ottobre 2018 Redazione Commenti disabilitati su Borghi d’Italia: alla scoperta di quello che c’è ma non si vede.